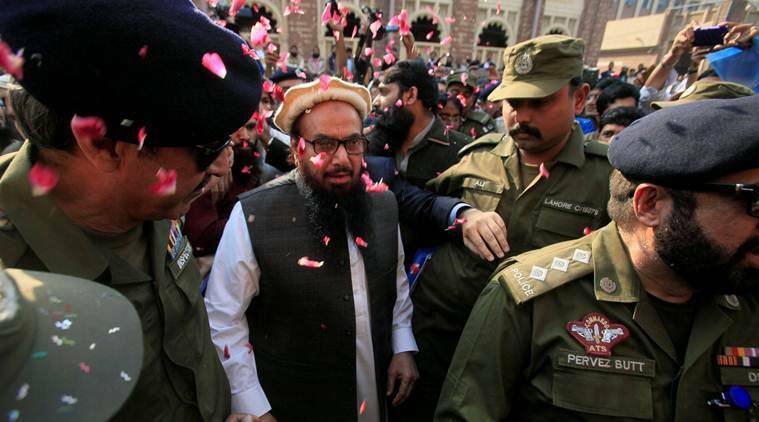 Jamaat-ud-Dawa chief and Mumbai attack mastermind Hafiz Saeed on Tuesday said his group will observe a 10-day ‘Kashmir solidarity Ashra’ in Pakistan starting from February 2, reported PTI. “We will hold rallies, conferences and seminars across Pakistan to show solidarity with the Kashmiris,” Saeed said. Saeed, the founder of Falah-i-Insaniat Foundation (FIF) and a UN-designated global terrorist, carries a USD 10 million bounty on his head. He was listed under UN Security Council Resolution 1267 in December 2008. He was released from house arrest in Pakistan in November last year. Announcing his foray into the electoral politics, last month Saeed had said he would dedicate 2018 to “Kashmiris who are struggling for freedom.” “I want to tell India that I will continue to support Kashmiris no matter what kind of difficulties are there. India wants us to stop raising voice for the Kashmiris. I warn India if it does not stop atrocities against Kashmiris then this struggle will rise further and it will face the music,” he added. Claiming that he spent ten months under house arrest only because he raised voice against the alleged “Indian atrocities” and Pakistani government’s “impotence,” Saeed alleged that the authorities want to take action against him amid sustained pressure from the US. Earlier this month, the US has told clearly to Islamabad that Saeed is a “terrorist” and should be prosecuted to the fullest extent of the law, reacting strongly to Pakistan Prime Minister Shahid Khaqan Abbasi’s remarks that there was no case against him.